​Don't let Alvaro Morata's recent run goals fool you, Chelsea are still very much in a goal-scoring crisis. The Spaniard now has six goals from 15 appearances this season, taking his Chelsea tally to 20 goals from 63 appearances. Olivier Giroud, the man brought in to help ease the goalscoring burden, is yet to net this season and has just five goals from his 29 appearances. That is 26 goals from a combined 92 appearances between the duo, which is nothing short of abysmal. 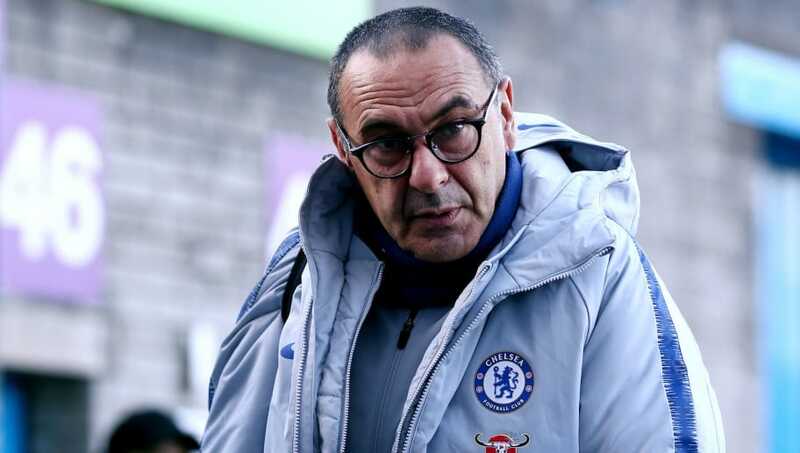 Maurizio Sarri is believed to have lost patience with both strikers, and is now scouting potential replacements. The Blues have been linked with various different strikers, including several young strikers who are impressing across Europe. The likes of Luka Jovic, Patrick Cutrone and Krzysztof Piatek have been named as potential targets. However, to put it bluntly, ​Chelsea should stay well away from all three. 20-year-old Jovic recently stole the headlines after grabbing five goals in Eintracht Frankfurt's 7-1 demolition of Fortuna Dusseldorf. However, if you ignore that match, Jovic has four goals from 12 appearances this season - almost identical to ​Morata. ​Milan's Cutrone, also 20, has found the back of the net five times from 11 matches, which is hardly an upgrade on the misfiring Spaniard. The most exciting of these options appears to be Genoa's Piatek, who has netted 13 goals in 12 outings. However, this is just Piatek's first season in a major league, which is by no means enough to justify Chelsea committing to him. Of course, 13 in 12 is a sublime record, and every superstar has to start out as a wonderkid, but Chelsea have wasted too much time waiting for a youngster to fulfil their potential, only to be let down. Morata has been given two seasons to prove himself as a starter at a big club, but has failed to do so. ​Michy Batshuayi has already been demoted to the loan army after failing to impress, but this issue has been present at Chelsea for years. The likes of Mateja Kezman and Franco Di Santo have both failed at Stamford Bridge, and the club cannot afford to wait anymore. Roman Abramovich has authorised the signings of countless wonderkids. Di Santo was supposed to be the next Diego Maradona, Yury Zhirkov was said to be the Russian Ronaldinho, even ​Romelu Lukaku, who never impressed at Chelsea, was supposed to be the next Didier Drogba. Chelsea need goals, not potential. They have been linked with a monumental move for ​Inter's ​Mauro Icardi, and that is exactly what Chelsea need - a top striker who has been scoring goals for fun in a competitive league for several years. Yes, he comes with a much higher price tag - with his buyout clause said to be set around £90m, but can you really put a price on a top goalscorer? Both Drogba and ​Diego Costa won matches on their own during their respective periods at Stamford Bridge. Is a ​Premier League title worth £90m? Is a deep Champions League run worth the money? In today's market, of course. There is also the fact that the arrival of a new superstar would likely help persuade ​Eden Hazard to remain at Chelsea, and if that is not worth £90m to the club, then nothing is. For too long, Chelsea fans have suffered through dire performance after dire performance from their strikers. If Chelsea want to be a genuine threat in European competition, they need a consistent goalscorer. There is no time to take risks on potential, the club must show their intent with a new marquee signing.